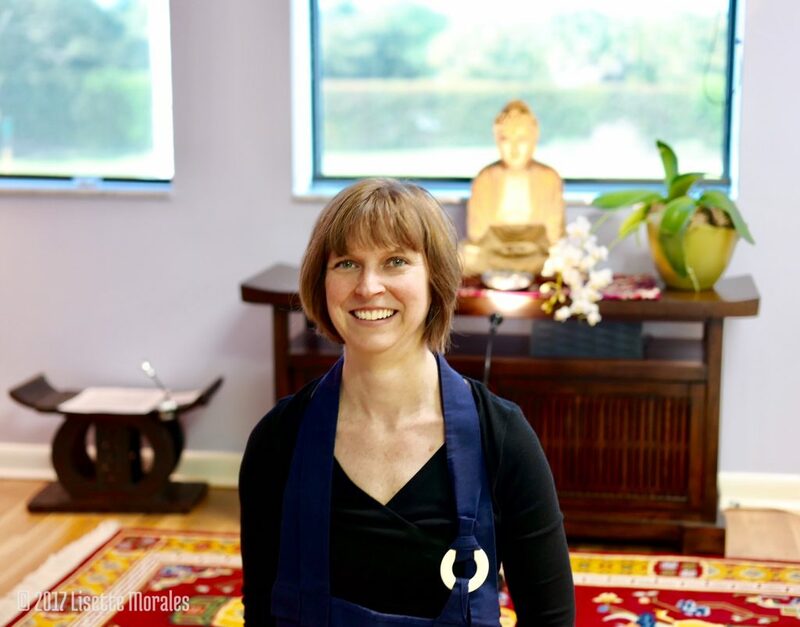 Laurie Lyons is Co-founder of Open Mind Zen Naples. She has been practicing various forms of yoga and meditation since 1996. In 2003, she began studying Zen with her teacher, Sensei Al Fusho Rapaport. Her yoga training includes Teacher Training with David Swenson, and a month of study with the late Sri K. Pattabhi Jois in Mysore, India. In 2010, Laurie took jukai (lay Buddhist vows) and received the Dharma name, Kido, meaning Bright Truth. Shortly thereafter, she was encouraged by Sensei Al to begin offering meditation in various local yoga studios, where she taught yoga classes as well. In 2015, she partnered with Andy Solis to found Open Mind Zen Naples. Laurie is now an Assistant Teacher, Dharma Holder (Hoshi), and Lay Monk in the Open Mind Zen School. Laurie works as an orchestral musician. She has performed as a percussionist with the Naples Philharmonic since 1999.